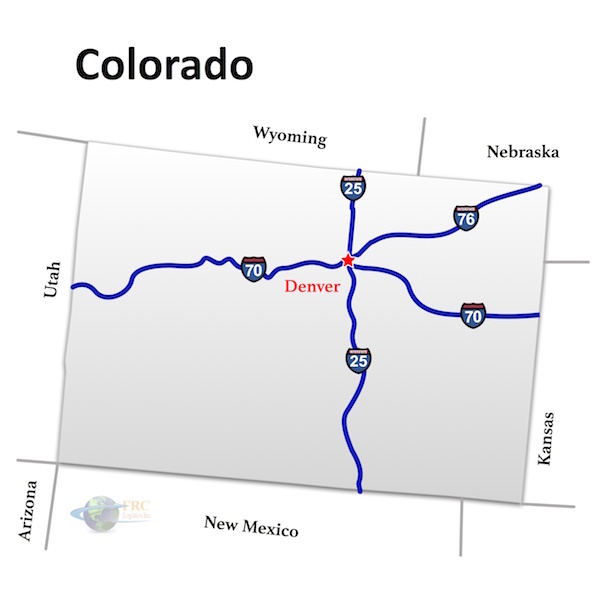 New Jersey to Colorado Freight shipping and trucking services are in high demand; Newark to Denver is a very heavily traveled route. The Newark to Denver shipping lane is a 1,769 mile haul that takes more than 26 hours of driving to complete. Shipping from New Jersey to Colorado ranges from a minimum of 1,645 miles and 24 hours from Bridgewater, NJ to Sterling, CO, to over 2,073 miles and a minimum of 32 hours on the road from Ocean City, NJ to Cortez, CO. The shortest route from New Jersey to Colorado is along I-80 W; however, there’s also a more southern route that uses I-70 W passing through Indianapolis, IN. Thanks in part to its high elevation, Colorado’s weather patterns are largely dictated by the terrain of mountains and valleys, as well as arid plains. Its climate is generally semi-arid, with an alpine climate in the high mountains. Extreme weather is not uncommon, with heavy hailstorms and thunderstorms. Wildfires have become an increasingly severe problem, thanks to prolonged high temperatures and droughts in the plains. The I-70 cuts across Colorado from east to west. Colorado trucking companies frequently carry goods along this route internally, connecting Fort Collins to Pueblo via Denver and Boulder. Colorado freight companies traveling east to west on I-70 (or northwest on I-76) also travel through the state capital of Denver in transit between Utah and Kansas. Colorado is well served by a network of state roads cutting through forests and the Rocky Mountains. 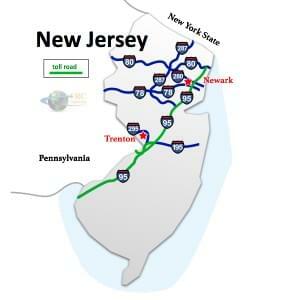 New Jersey to Colorado Freight shipping quotes and trucking rates vary at times due to the individual states industry needs. Since New Jersey is largely Industrial we see plenty of shipments by flatbed trailer as well as by the more common dry van trucks. Colorado has booming agricultural, industrial, and service industries, with many food processing and distribution centers so we see a number of shipments by refrigerated trailer. Our Less Than Truckload (LTL) carriers in both New Jersey and Colorado are also running a number of regular services between the two states, and it’s an active route for oversize shipments, as well.